Though I would rather call it a sign that the children are more physically active, which is good for both body and brain, as shown by a recent RCT. And as I have written about before, children tend to be very active during self-organized play. This entry was posted in Children, Research, Sports and tagged children, injuries, internet, research, sports on 2014-11-19 by Oeystein Hernaes. 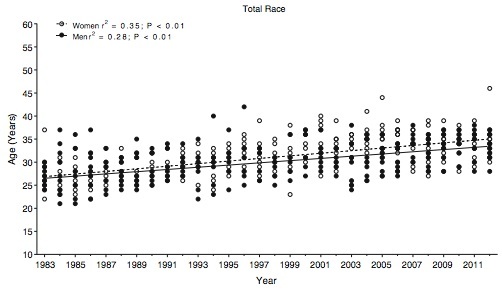 The telling figure below from an NBER paper (wp) by Allen, Dechov, Pope and Wu has been shared by several people this summer. 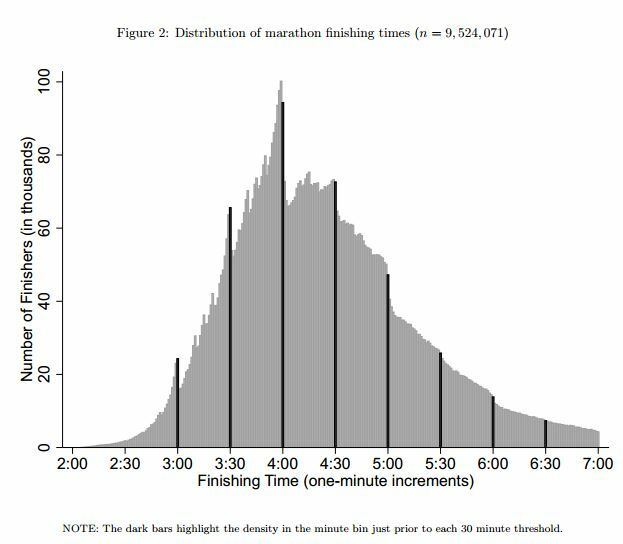 From data on almost 10 million marathon finishing times, they show how people use their prospective finishing time as motivation to provide more effort and bunch at every 30 min. interval. 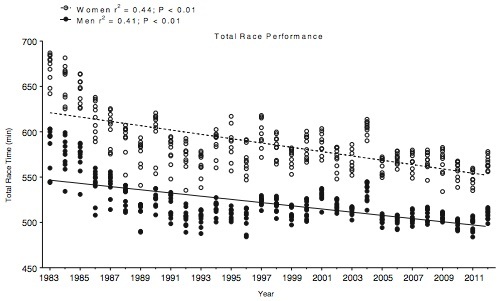 This entry was posted in Economics, Sports and tagged behavioral economics, economics, motivation, running, sports on 2014-10-04 by Oeystein Hernaes.